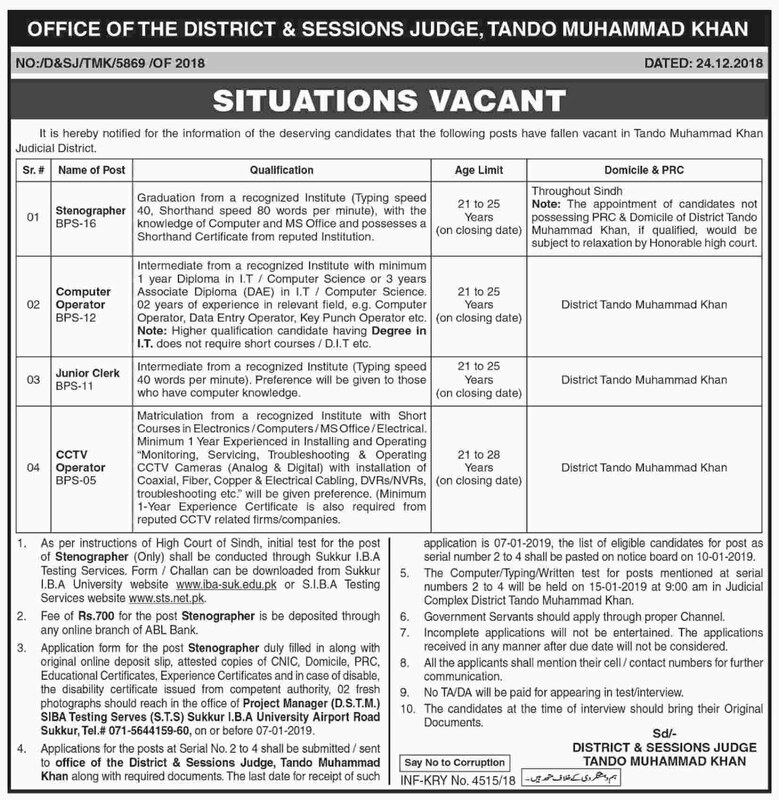 Below are the complete details of the Computer Operator jobs in District & Session Court in Tando Muhammad Khan. Skills Required for Job: Skills:- Listening, Speaking and writing & Analytical and Problem solving skill. A key skill for computer operators is the ability to monitor operations and detect problems. Communications Skills. Technological Skills and Knowledge. Clerical and Customer Service Skills. Qualification: Qualification:- Intermediate degree in IT & must have relevant of work experience in a similar administrative support role. last date for submission of application is 07th Jan 2019. 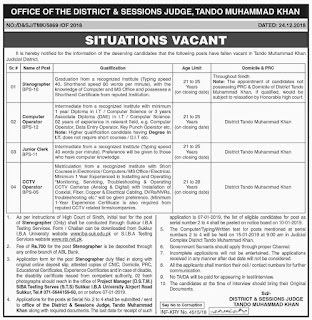 Computer Operator jobs in District & Session Court Tando Muhammad Khan, in Pakistan published on Paperpk.com from newspaper on December 29,2018. Job seekers who are already working as Data Entry Operator , Computer Operator , Call Operator can also apply for post of Computer Operator.